PALEMBANG -- South Korea won three silver medals and one bronze medal in rowing events at the 18th Asian Games on Thursday. 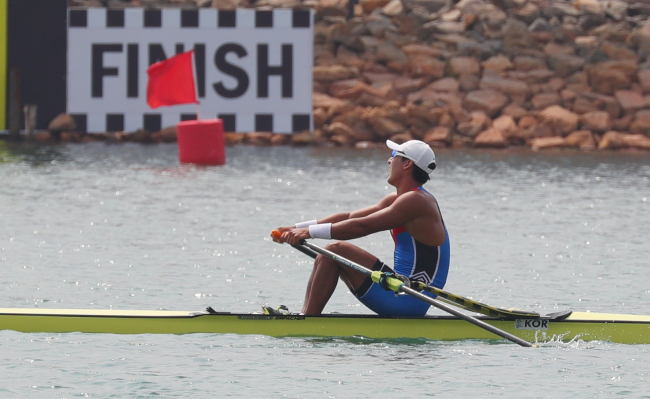 Kim Dong-yong opened the medal run by grabbing a silver in the men's single sculls after finishing the 2,000-meter race at Jakabaring Sport City Rowing & Canoeing Regatta Course in Palembang, Indonesia, with a time of 7 minutes, 30.86 seconds. He was behind Zhang Liang of China, who clocked 7:25.36. This was Kim's second straight silver in the men's single sculls at the Asian Games. 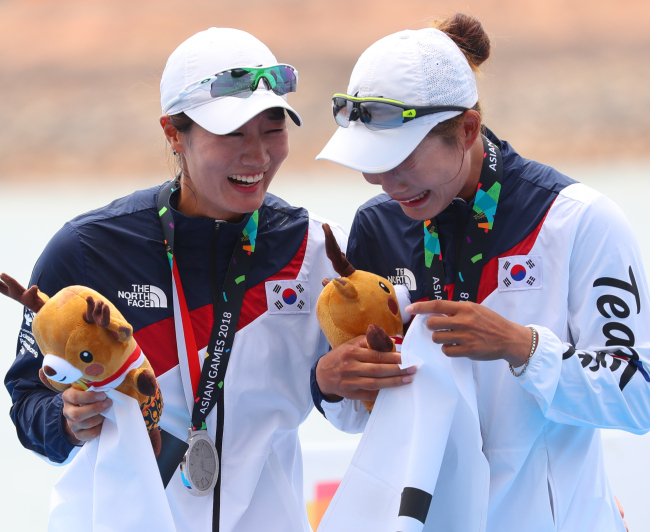 The South Korean pair of Kim Ye-ji and Kim Seul-gi then took silver in the women's double sculls with a time of 7:34.73. They finished behind the Chinese team of Jiang Yan and Li Jinjing, who finished atop at 7:33.55. Kim Ye-ji took gold in the women's single sculls at the Incheon Asian Games, while Kim Seul-gi claimed silver in the quadruple sculls four years ago. Another silver came from Jeon Seo-yeong and Kim Seo-hee, who competed in the women's pair. They finished in 8:00.25 and were runner-up behind Ju Rui and Lin Xinyu of China, who won with a time of 7:55.50. South Korea then collected a bronze in the women's lightweight quadruple sculls. The team comprised of Jung Hye-ri, Ku Bo-yeon, Choi Yu-ri and Ji Yoo-jin finished third behind Vietnam and Iran.